Welcome to Simply Sweet Creations! 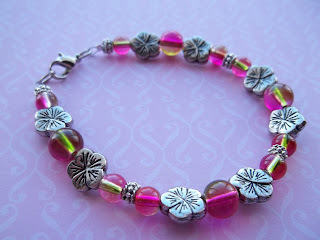 I invite you to follow me and subscribe to get updates on sales and new items and get special offers and coupon codes! Also, while you're here, please visit my main blog Simply Sweet Home, and please come back soon to see all my latest creations! Hello everyone! Welcome to Simply Sweet Creations! I created this blog to share updates on my Etsy Shop, such as new items, sales, giveaways, etc. So let me tell briefly tell you about my shop. 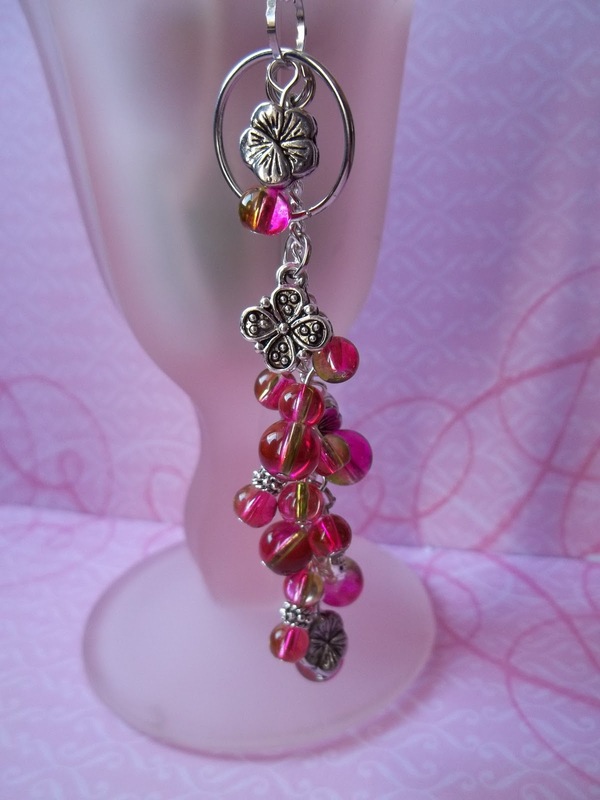 I sell jewelry, including earrings, bracelets (especially charm braclets), and necklaces. 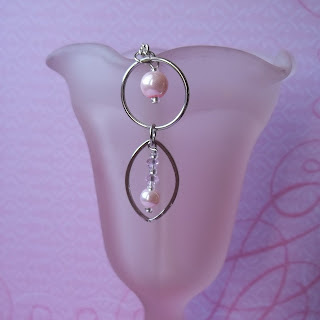 My jewelry is simple and elegant with a splash of whimsy and fun! I have a variety of colors and styles available and I'm always trying new techniques, so the stock is everchanging! Giveaway! 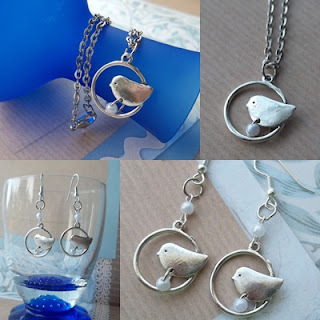 I've giving away my Encircled Bird Necklace and Earring Set (pics below) to one person who checks out this party post. Please note, the Rafflecopter you see here is the same as the one on my Simply Sweet Home site. So you can only enter on one of the two sites. Please also visit my main site Simply Sweet Home, where I blog about recipes, product reviews, giveaways, and homemaker related topics. Thanks!! 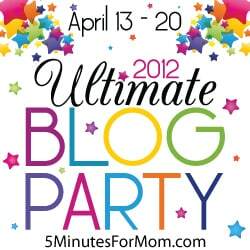 This week I'm participating at the Ultimate Blog Party hosted by 5 Minutes for Mom. If you're visiting from the party, Welcome! 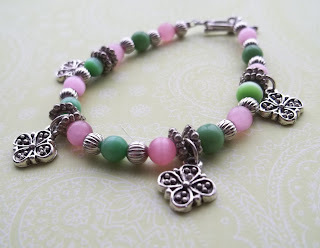 Simply Sweet Creations is my jewelry blog where I share my latest jewelry creations on sale at my Etsy Shop! 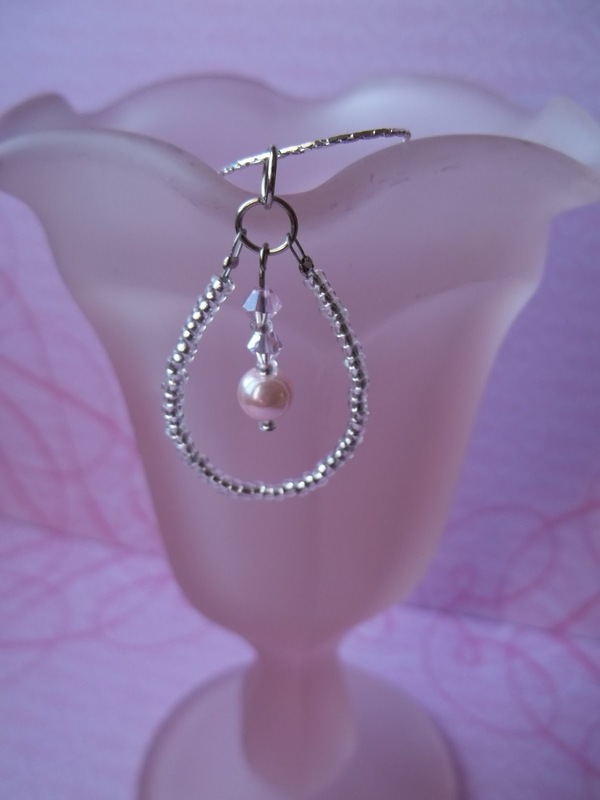 My jewelry is simple and elegant with a splash of whimsy and fun! In celebration of the party and to thank you for stopping by, I've created a special coupon code! Just enter the code, UBP11 at checkout to get 15% off at my shop! If you love handmade jewelry, I'd love for you to follow me here! I'd also like to invite you to visit my main blog, Simply Sweet Home. and my Facebook Fan page. 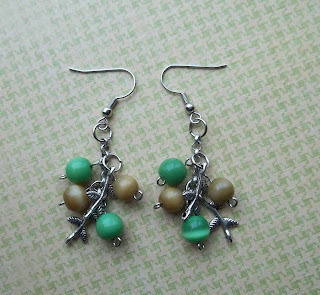 Over the next few weeks I'll be adding new spring jewelry to my shop. 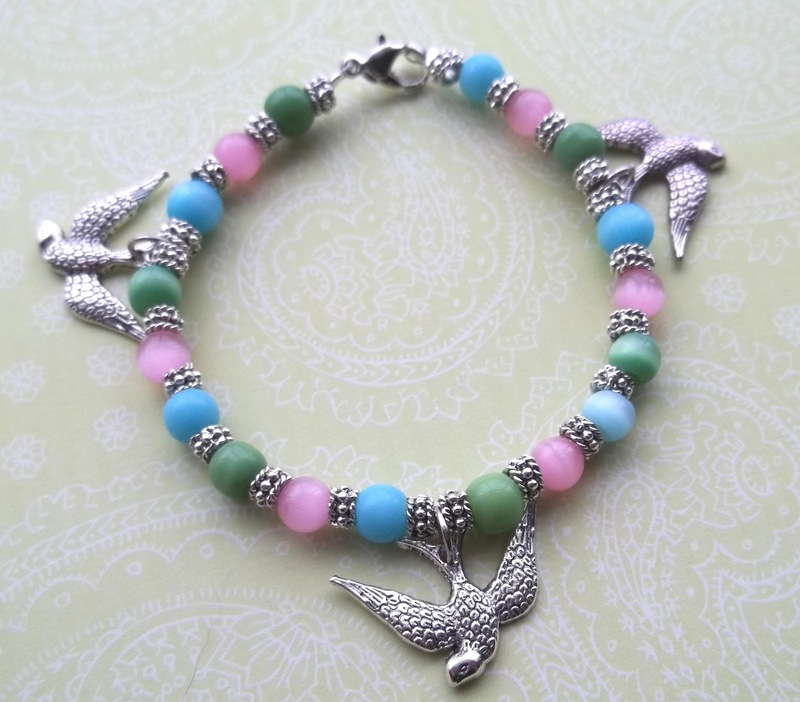 Today's featured pieces would actually be cute for spring or summer. I found these adorable silver flower beads a few weeks ago. To me, they screamed: "Hawaii! The Beach! Tropical! and Malibu Barbie!" Obviously for the name, I used the Hawii theme! 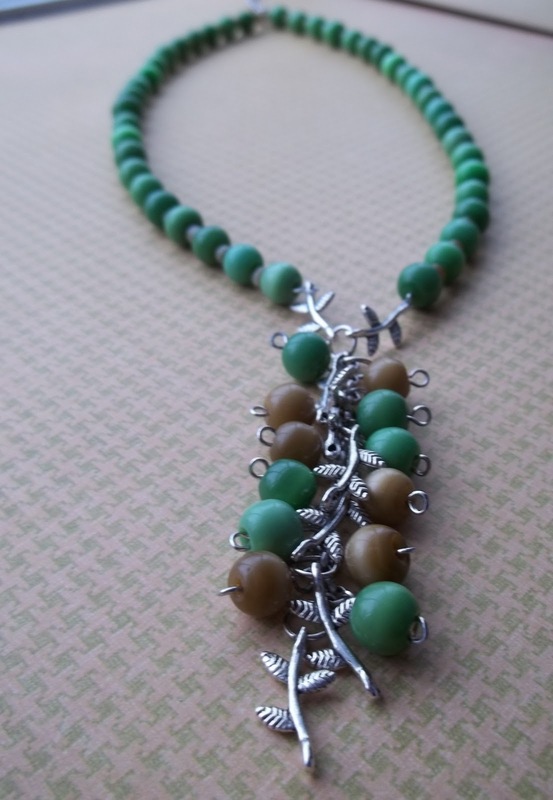 The beads I used for these are Czech glass, and as you can see, they have shimmers of gold and green inside, which really adds a lot to the look and shine of the beads. 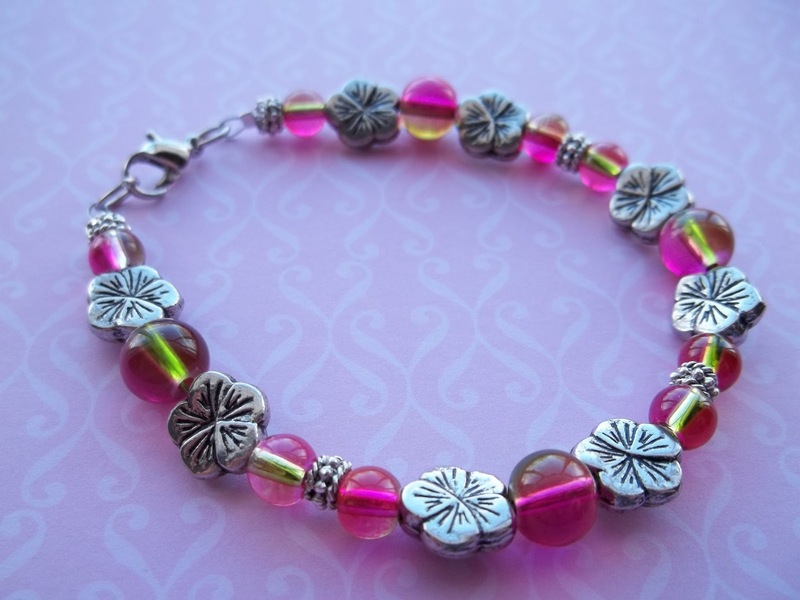 To learn more about this bracelet, please check out my shop listing. I'm really excited about the necklace. I've been planning to make some necklaces in this style, and the Aloha is my first one! suspended from an 18 inch chain with a lobster clasp. And when you actually wear it, it will fall along your body or wardrobe as shown above. For more info on the dimensions, etc, please see my shop listing. I'm linking up at these blog parties. Thanks for stopping by today! 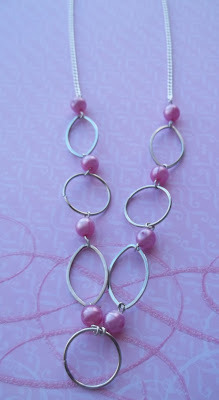 Continuing with my Pink & Chic collection, I recently added these pendants to my shop. 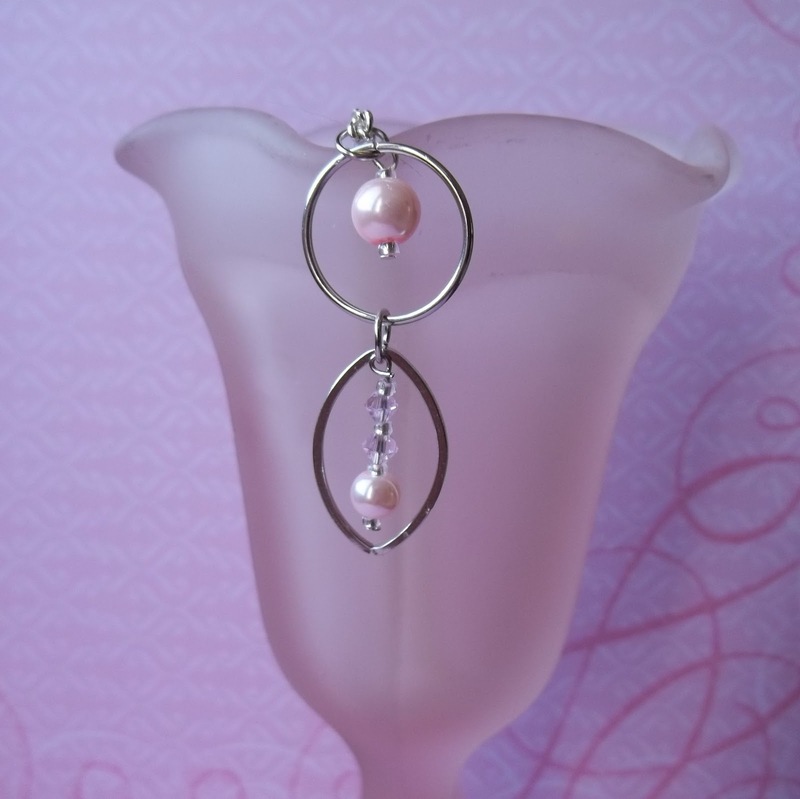 These feature the same glass pearls and pink crystals that are included in the other Pink & Chic items. And they are very simple and elegant. Each pendant I add to my shop will come with some type of necklace chain, unless otherwise noted. 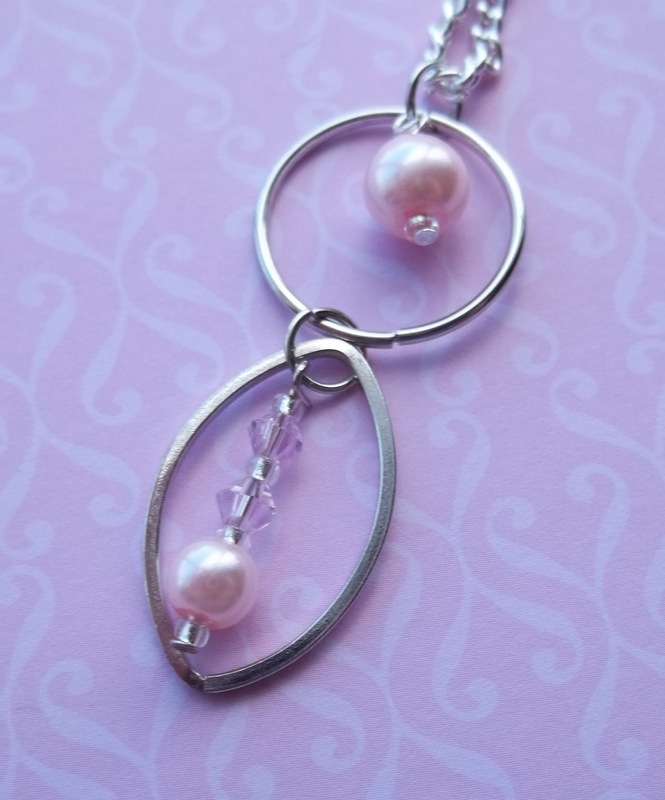 The first is the Pink & Chic Double Drop Pendant. 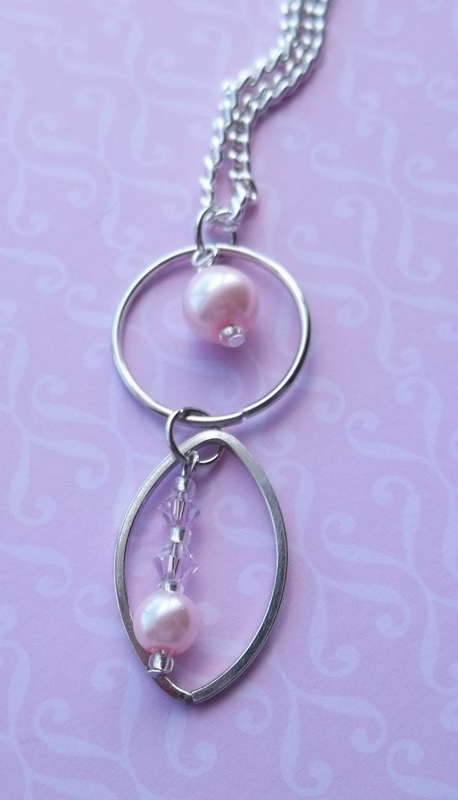 And it comes with an 18 inch silver plated chain with a lobster clasp. 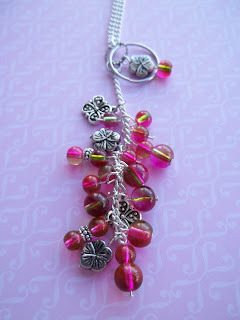 This one is actually two pendants in one. In my shop listing, I state that you can get this customized. If your prefer to have the circle on bottom, I can rearrange them for you. And I'll also be happy to separate the two links for you, giving you two smaller pendants that you can swap up and wear one at a time. 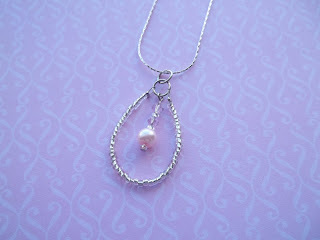 The second pendant is the Pink & Chic Teardrop Pendant. Glass seed beads come together to create the tear drop shape, which surrounds a charm made up of a glass pearl and pink crystals. The pendant comes with an 18 inch slide chain. Also, check my shop this month for great sales on several of my earrings, including all my petites! 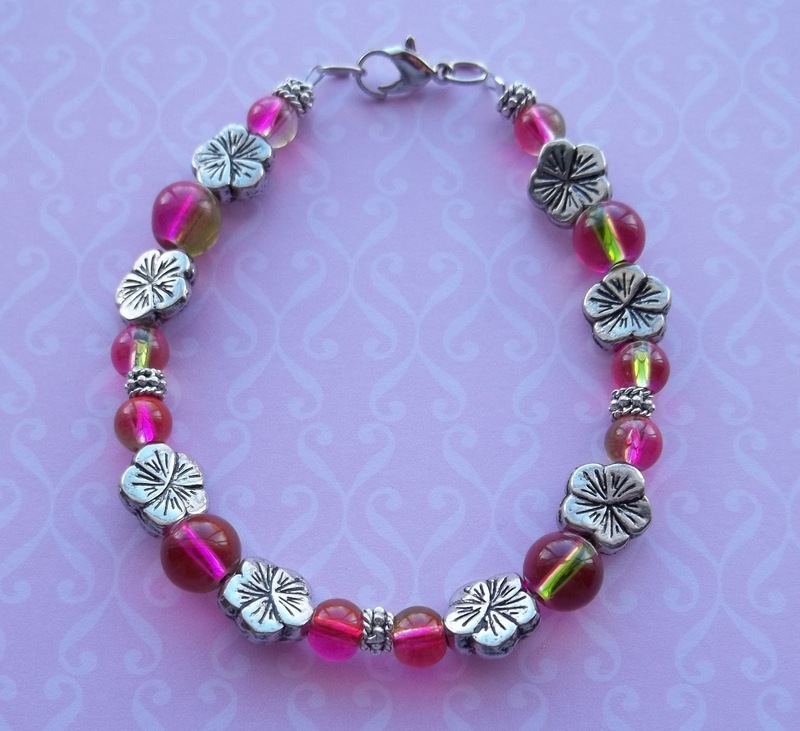 I also have 3 Valentine's Day bracelets left which will be marked down this week. I'm linking up at these blog parties. This week I've added this lovely necklace and pair of earrings to my etsy shop. 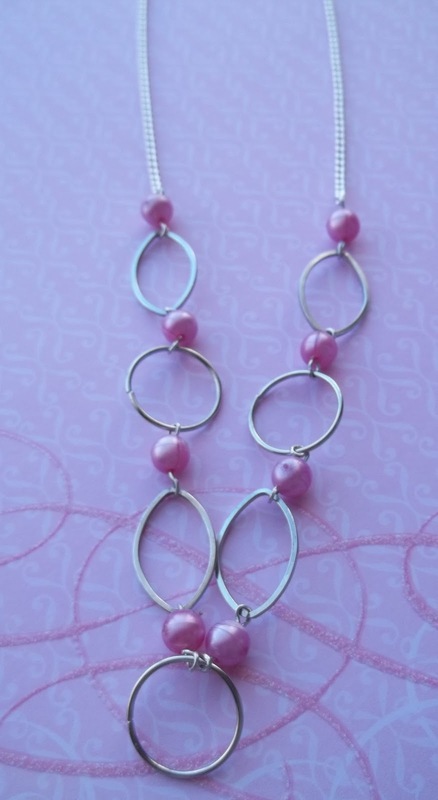 These two pieces match the Pink & Chic Braclet that I shared last week with my other Valentine creations. 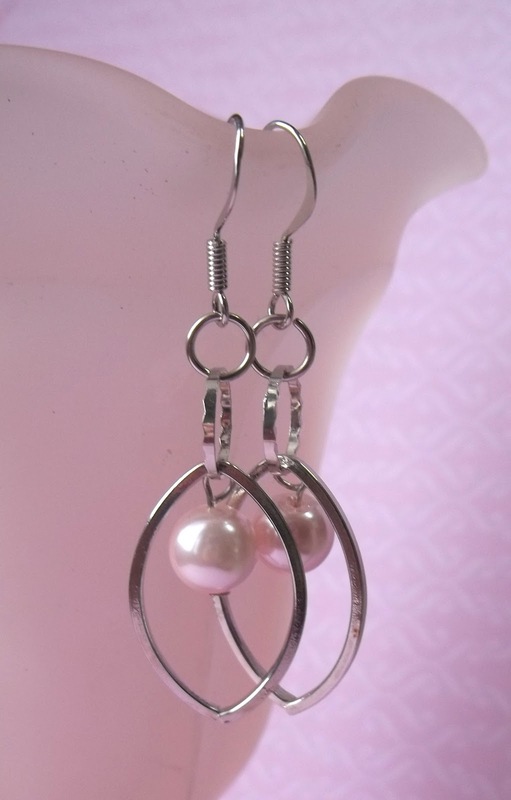 I love these because they are very soft and elegant looking with a slightly vintage appeal. 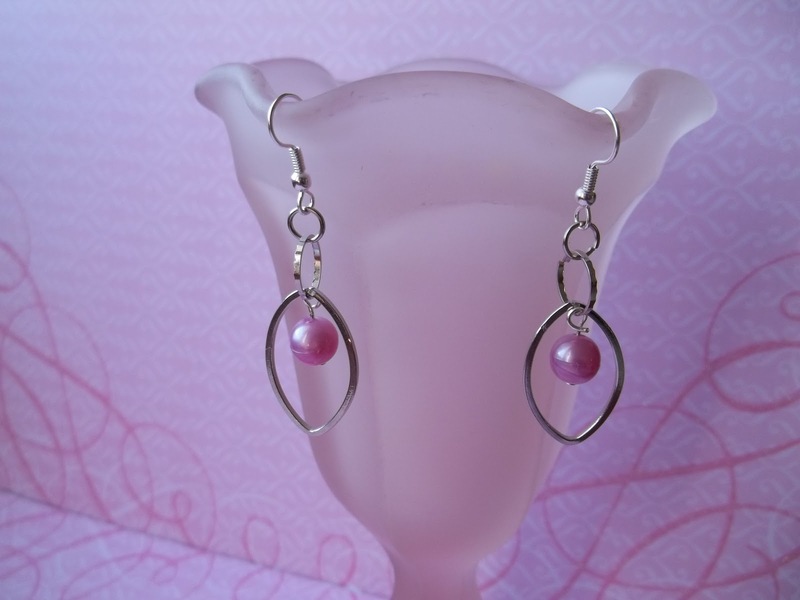 The Pink & Chic Oval Drop Earrings are both elegant and fun. 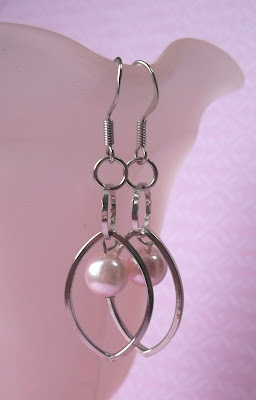 The earrings dangle a total of an inch and a half from the ear, and are a really good size and weight. This Pink & Chic Pearl Chain Necklace is one of my favorite things that I've made lately. This is a long chain, measuring 30 inches, and the pink pearls just look so pretty with the round and oval shaped, silver links. 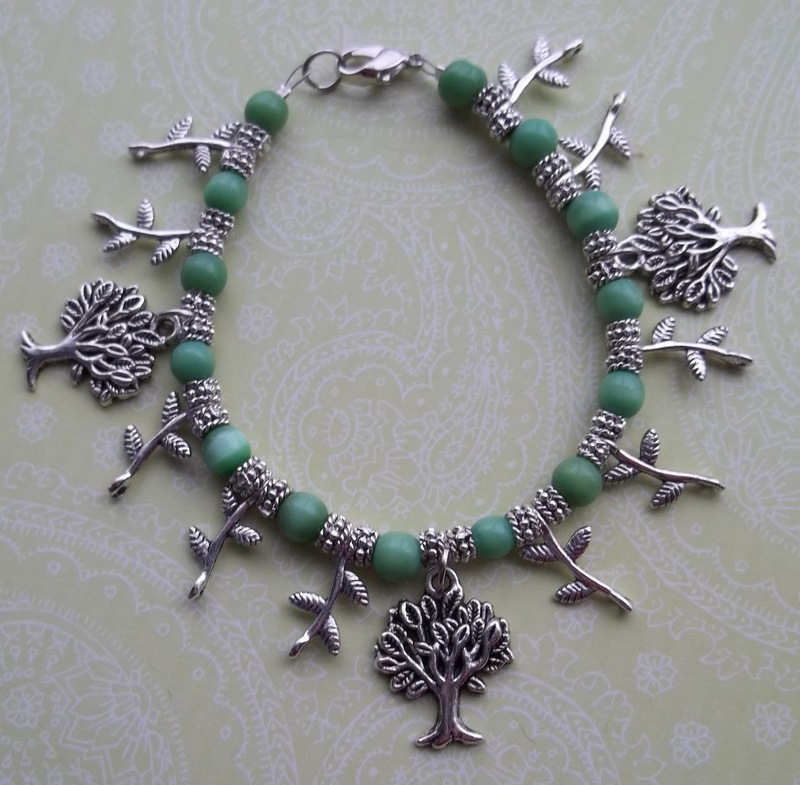 And it would just look so lovely with a dressy top, a sweater, or a jacket. In the future I'd like to make some more necklaces and maybe even some bracelets based on this design. If you follow my main blog Simply Sweet Home you've already seen some of the pieces I've added to my shop for Valentine's Day. And I'm really excited to say that they've been selling Yay! Unfortunately I didn't expect such a great turn out for Valentine's Day, so I only made a few items. I've had a few different people ask about my Dangle My Heart bracelet, which sold last week. They were wondering if I was going to make anymore, and one person asked about buying several of them. I wanted to order all the materials for that particular buyer. Unfortunately I searched around and one of the key components to that bracelet would take about 3 weeks to get here, and the buyer needed them sooner than that. (Rats!) I looked around for all sorts of similar alternatives, but no luck. 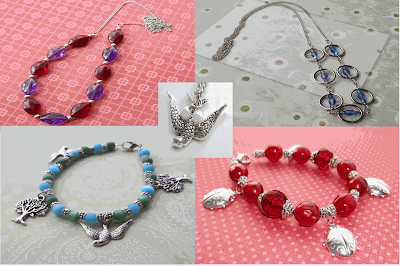 But I have added a few more Valentine's pieces, so maybe someone will like these too. And I ordered a ton of supplies over the weekend, including some heart charms, so I might be able to make something with that before Valentine's Day gets here. By the way, you can still use the HAPPYNEWYEAR coupon code and get 15% off. This will be up through the end of the week. I just added this lovely bracelet to my shop! 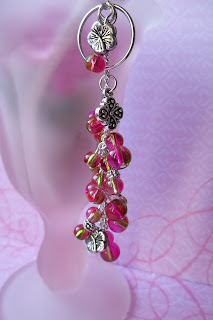 The Dangle My Heart Bracelet is the first of several items that I'm adding for the Winter Season and Valentine's holiday. 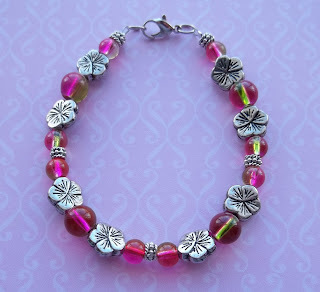 This bracelet features some silver and pewter beads and charms, along with three red "jewel" charms. It measures 8 inches around and should fit most wrists. It's a mix of fun, elegance, and charm! My name is Jerri, and I'm a wife, homemaker, and cat mommy. 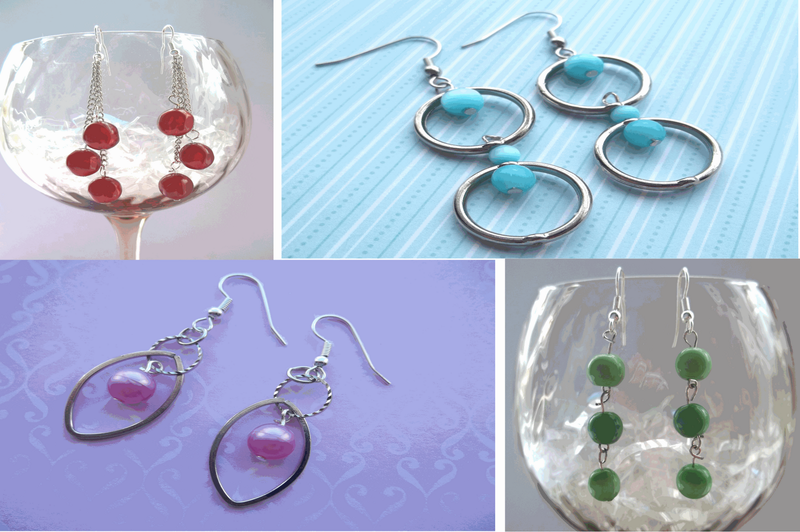 I first started making jewelry in 2009, and I opened my shop on etsy in 2010. Simply Sweet Creations are well-made with quality in mind. My style is simple and elegant with a splash of whimsy and fun! 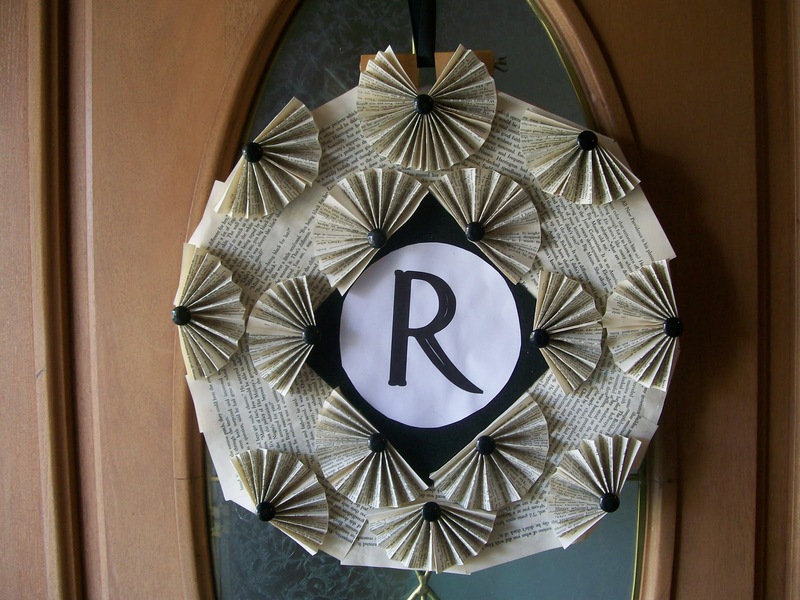 Please feel free to send me an etsy convo or email if you'd like to order a custom creation. I also invite you to visit my main blog Simply Sweet Home, where I share recipes, crafts, decor, product reviews, and more! Click on the photos to enlarge, and visit my shop to place orders for these items.